Levered's co-founders, Joshua Bradley and Mitch Slater will be attending the 15th Annual Education Summit put on by the Association of Latino Administrators and Superintendents in San Diego, October 10-13, 2018. Levered Learning is sponsoring a "Shark Tank" presentation, where we will talk about on how our 4th grade math curriculum is engaging all learners, increasing engagement and CAASP test score results at schools in California. 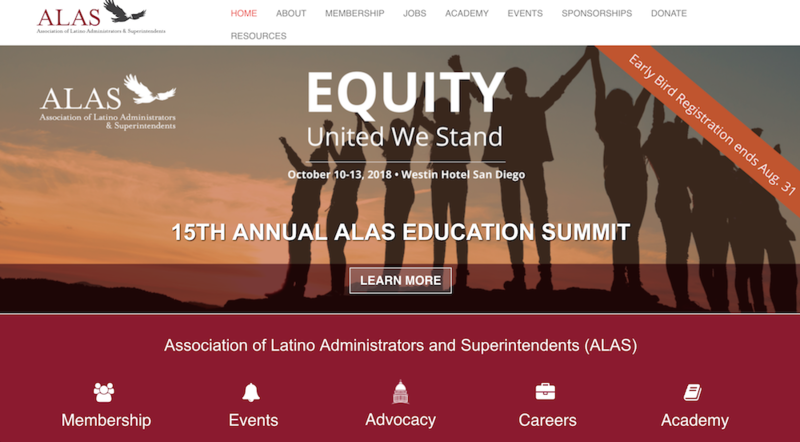 The ALAS website describes the event as, "...designed for educators from across the country to work together to address challenges in the education system, particularly those impacting Latinos. ".